What Does BPMN Cover & Why Do I Need It? BPMN 2.0 is an excellent business process modeling language, enabling businesses to create clear graphical representations of complex processes. But how much does BPMN cover, and how can BPMN diagrams benefit users? Mike from Good e-Learning is here to tell you! Business process modeling has become an essential skill for modern companies. By utilizing tools like BPMN, users can create intuitive graphical representations of complex processes. This clear perspective of operations can be invaluable when it comes to making key organizational decisions, as managers will need to be able to predict and communicate the consequences of potential changes. BPMN 2.0 covers a variety of diagram types, including Collaboration Diagrams, Choreography Diagrams, Process Diagrams and Conversation Diagrams. Each contains its own BPMN elements, with the variety on offer meaning that BPMN diagrams can be made for virtually any company regardless of its internal structure, industry or size. In this video, Mike from Good e-Learning takes a look at exactly what BPMN covers, and what users can expect from BPMN diagrams. As a leading provider of online training courses, Good e-Learning offers business process modeling courses designed to help students gain certifications online. 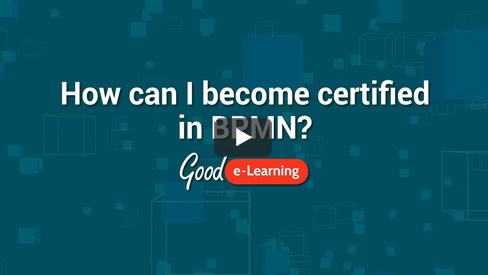 The BPMN 2.0 Foundation & Practitioner (level 1 & 2) offers a comprehensive overview of BPMN and how to apply it in practice. Students can enjoy engaging training assets, including interactive videos, rich graphics and gamified quizzes. We also offer 24/7 tutor support, ensuring that students have everything they need to understand and apply the BPMN modeling language.